What Are Flow Control Valves And How Do They Work?! 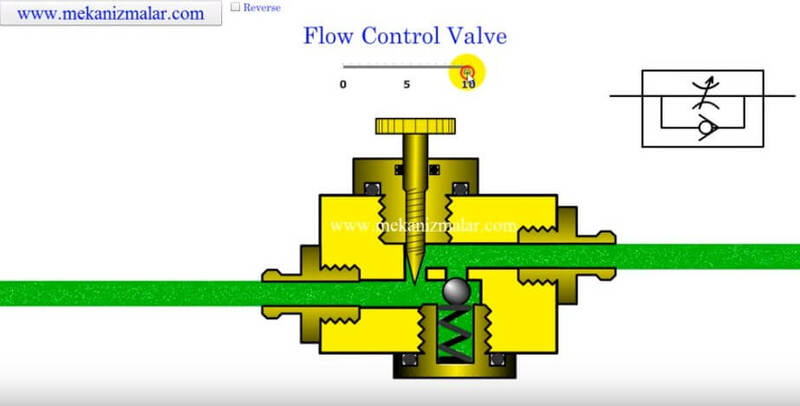 A flow control valve regulates the flow or pressure of a fluid. Control valves normally respond to signals generated by independent devices such as flow meters or temperature gauges. Control valves are normally fitted with actuators and positioners. Pneumatically-actuated globe valves and Diaphragm Valves are widely used for control purposes in many industries, although quarter-turn types such as ball, gate and butterfly valves are also used. Flow control valves are also used to control extending or retracting speed of hydraulic or pneumatic cylinders. In reality it is harder to regulate speed of air cylinder because of air being compressible. If fine speed control is required for pneumatic circuits, it is advised that you should use air over oil circuit to do that. 2015 Yamaha XV950 ‘Playa del Rey’ Yard Built by Matt Black Custom Designs! Amazing custom Twin Turbo Chevy Chevelle SS by Cartunes! Bugatti Chiron – A Unique Mechanical Masterpiece! What Is a Stirling Engine And How Does It Work?? Rotary engine motorcycle – Sternmotorbike! Crazy and Cool!